2011 Arctic Cat snowmobile won’t start refers to when the snow machine’s engine will not activate and begin to work as a result of no spark at the spark plugs or because there is no fuel at the cylinders. 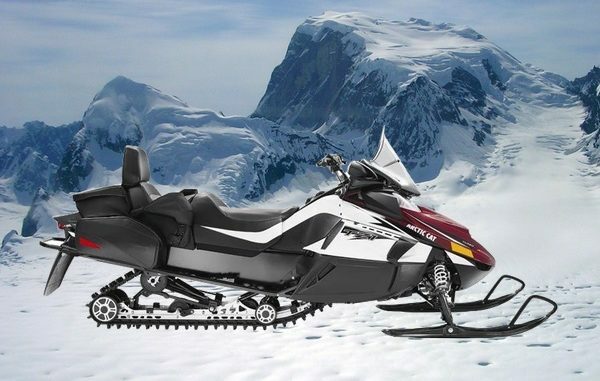 Use this troubleshooting guide to help trace and correct faults within the snowmobile’s mechanical and electrical system. This information is based on factory service procedures and is the same data professionally trained technicians use when repairing an Arctic Cat snowmobile that will not start up and begin operating. This information applies to all 2011 Arctic Cat 2-stroke carbureted engines, 2-stroke EFI (electronic fuel injection) engines and 4 stroke snowmobile models. Ignition switch failing to function properly or not in RUN position. To fix this, turn switch to RUN position. Replace ignition switch if malfunctioning. Wiring harness short-circuit or poor connection. Inspect wiring harness for damage, make sure connections are tight, replace wiring harness if needed. Emergency stop switch knob failing to function or is pushed into the down position. To fix this, either replace throttle switch or move the know to the UP position, whichever is required. Throttle/ignition monitor switch failing to function properly or needs to be adjusted to factory specification. To fix this, replace the snowmobile’s throttle switch or readjust (loosen) throttle cable. Carburetor safety switches malfunctioning or improperly adjusted. To fix this, replace the vehicle’s carburetor safety switches or readjust to factory specs, which ever is needed. Spark plugs damaged or fouled. Check spark plugs for mechanical damage, detonation damage, carbon fouled, preignition, etc. Replace if needed or clean, check gap and reinstall. Spark plug caps shorting, leaking or damaged. Replace spark plug caps with new caps. High tension coil/wires failing to function properly, loose or grounded. Replace high tension coil or wires if necessary. Otherwise service existing coil/wires. CDI unit defective. Replace the CDI unit with a new unit. Charge coil (1) failing to function properly. Replace coil with new coil. Charge coil (2) failing to function properly. Replace coil with new coil. Flywheel magnets weak. Replace flywheel with new flywheel. Flywheel key broken. Replace broken key. Gasoline tank empty. Add petrol to tank. Shut-off valve closed position. Open shut-off valve. Fuel hose kinked, twisted or cut. Readjust hose or replace it, whichever is needed. Gas-tank vent or hose clogged or hindered. Inspect and remove any obstruction. Replace vent or hose if needed. Inline fuel filter dirty or damaged. Clean filter of any obstruction or replace inline fuel filter if necessary. Fuel pump failing to function correctly. Remove and test fuel pump, repair if needed. Clean fuel pump. Impulse hose cracked, disconnected, kinked or broken. Replace impulse hose with a new part or reconnect impulse hose, whichever is needed. Carburetors need fine-tuning, need cleaning or are damaged. Troubleshoot precise malfunction, clean if necessary and replace if damaged. Primary compression (crankcase) absent or low cylinder compression. Inspect for worn engine components, replace damaged parts or make repairs as needed. Ground connections loose or dirty. Inspect all ground connections and make sure they are clean and have tight connections. Spark plugs damaged, worn or fouled. Clean, gap or replace spark plugs if needed. Spark plug caps leaking, shorting or damaged. Clean or replace spark plug caps, whichever is needed. High tension leads/coil malfunctioning, leaking or damaged. Service leads/coil or replace if needed. ECU/CUU malfunction. Replace the snowmobile’s ECU/CUU. Ignition timing sensor failing to function correctly. Replace sensor. ECU/CCU LED trouble code. Check trouble code and replace problem component. No spark. Use a spark tester to check for spark. Refer to the download repair manual for testing procedures. Fuel contaminated. Empty fuel tank and fuel lines. Replace fuel with fresh fuel. Secondary or primary compression low. Service engine as needed. Engine flooded. Clear engine (hold throttle open). Idle speed control malfunctioning. Rotate switch to the ON position and then turn to the OFF position — linen for stepping motor operation. ECU defective. Replace the snowmobile’s ECU. Ignition timing sensor defective. Replace faulty sensor. Gas contaminated. Empty fuel tank and replace with fresh fuel. Pick-up valve(s) blocked or damaged. Remove any obstruction or replace pick-up valves with new components. Compression low. Test cylinder compression. Replace or service parts as needed. ECU defective. Replace ECU if needed. ECU check engine light illuminates. Check codes and their causes, repair snowmobile as needed. No spark. Check for spark at spark plugs using a spark plug tester. Refer to download repair manual or testing procedures. Compression low. Perform a cylinder compression test and repair engine as needed. Gasoline contaminated. Empty fuel tank and fuel system and replace with fresh fuel. If your Arctic Cat snowmobile wont start, has spark bug wont start, wont start when cold, won’t start after cleaning carbs, won’t turn over or will not start after sitting all summer, use the troubleshooting guide above. Make sure you download the repair manual before you starting working on the snow-machine. You can download a repair manual straight to you computer or tablet in seconds. Trust me…you’ll needed it. Does this apply to 2011 2-stroke M1000 Sno Pro 162?